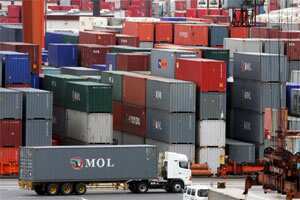 New Delhi: Global economic uncertainties have made the country’s target of doubling its exports to $500 billion by 2014 “challenging", commerce and industry minister Anand Sharma has said. The commerce ministry had prepared a strategy paper in this regard in May this year. “Clearly, this is a challenging task given the complexities and uncertainties of recent economic developments," the minister informed the members of Parliament, who are in the Consultative Committee attached to the commerce ministry. Sharma said the global economic environment has seen considerable turbulence in the past few years. He said exports need to be pushed up both for stepping up economic activity and maintaining the current account and trade deficit within manageable limits. According to the Reserve Bank of India (RBI), the country’s current account deficit has touched 3.1% of the gross domestic product in June making it imperative for increasing exports. Though exports have grown by 52% to $160 billion in the April-September, 2011, the trade deficit stood at 73.4 billion for the half-year. This is because imports too have been expanding rapidly with the import bill touching $233.5 billion in the first half of the fiscal. Europe and the US, two of the biggest markets for the global merchandise face uncertainties. Crisis in Europe is of particular concern to India. It is in this backdrop that the government and the exporters have been working on a strategy to diversify into new markets of Latin America, Africa and Asia. The engineering, gems and jewellery and pharmaceuticals products have been identified as focussed areas for growth.